Talmud תלמוד by Tzvee Zahavy: Is the Film "The Endless Summer" Jewish? 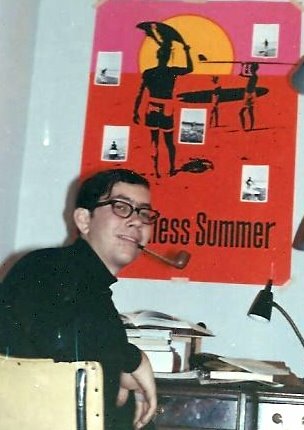 Is the Film "The Endless Summer" Jewish? My favorite movie is Bruce Brown's, The Endless Summer. No, it wasn't Jewish at all that is, until I made it into a metaphor for my quest for perfect Jewish spirituality and the inspiration for my book cover (see below). I haven't found any other Jewish connections to the film or the poster. Vanity Fair has a story about the famous iconic Endless Summer movie poster. "One Summer, Forever: The Endless Summer poster is 50 years old, and it hasn't aged a minute. Kitchen-table project turned pop-culture phenomenon, the Day-Glo movie promo created by John Van Hamersveld for his friend Bruce Brown’s 1964 documentary is still selling the dream—on T-shirts, TV shows, beer bottles, and dorm walls. Lili Anolik looks back at the moment an iconic image was born, the social upheaval it presaged, and the surfer-dude-slash-designer whose life it changed." In 1966 I saw a film that documented two boys seeking simple perfection in a quasi-mystical sport. IMDB sums up, "Brown follows two young surfers around the world in search of the perfect wave, and ends up finding quite a few in addition to some colorful local characters." The film spoke to me, as it did to many others of a more idealistic age. The essence of surfing of course is the wave. And the lover of surfing no doubt wants to embark on the quest for the best wave. To experience the performance of the essence is to find the perfect wave. Brown's two surfer dudes found one in South Africa, see the video clip below. I did not go out to emulate Brown's surfers and travel the world in search of the perfect surfing wave. 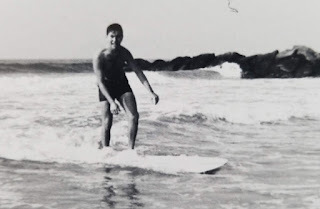 Oh yes -- I did have a surf board and I did have a tan and I was agile and athletic and learned to surf. Truly, I hardly got beyond the less than perfect waves of the south shore of Long Island. And that was fun, and a way to pass the summer times, but not a quest of any sort. Fast forward ten years and behold I did embark on a quest in search of a perfect wave of a different sort. 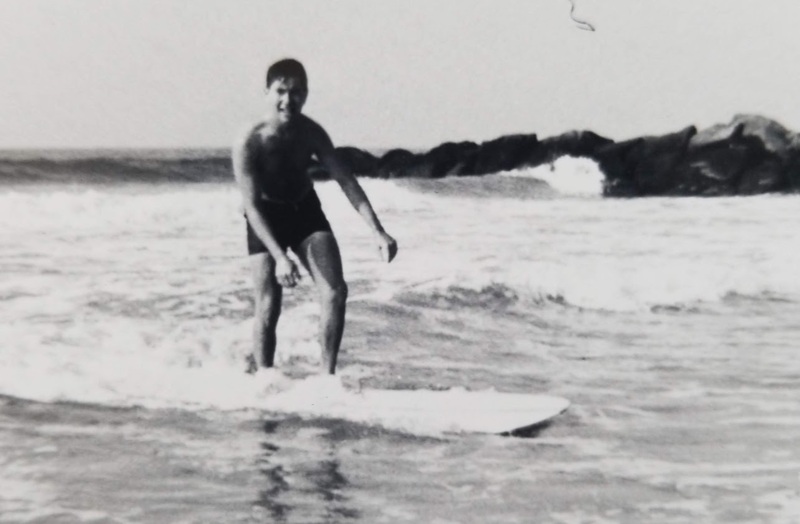 I spent months and years of travel and research and sabbaticals seeking the perfect wave in a shul, the swaying and the praying that hit the mark, that stayed in the groove, that fulfilled the quest of the endless davener. I found that perfect wave of prayer one time for a brief season in a little shul right off Palmach Street in Jerusalem in 1978. It's a place called Har-El and it is still there today. Back then it was the right mix of the perfect minyan. "Colorful local characters" of different histories and stories but all with the same propensities, skills and needs. A brief snapshot of time when clerks and professors, accountants and bankers, business owners, contractors, rabbis and craftsmen joined as one every day to read and sing the prayers. It was simple one room shul-house structure with a one wire heater and nothing fancy anywhere to be found. That special season of satisfaction for the endless davener proved that yes, then perfect prayer exists, it was serene and smooth and seamless. This clip shows a per­fect wave from "End­less Sum­mer," shot at Cape St Fran­cis, South Africa.